Efficient cleaning of floors, walls, ceilings and other large surfaces is critical to the overall cleanliness of the production environment. 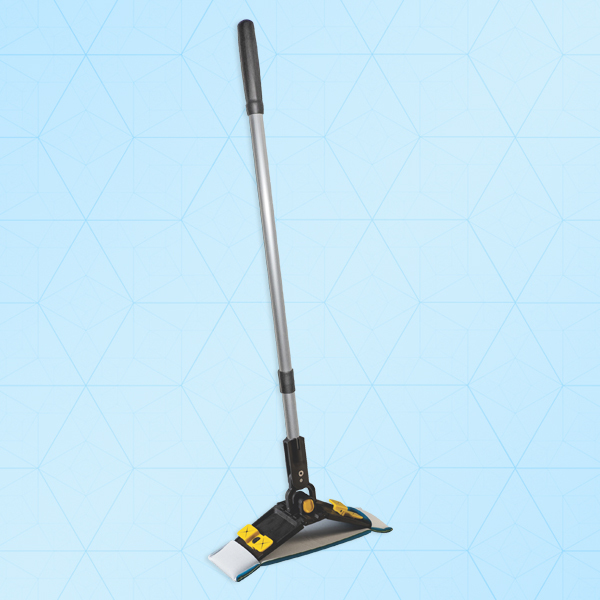 The Ergonomic 16” Mop Systems replicate the most effective way to clean and disinfect surfaces – WIPING. The cleanroom flat mop holders are easy to use, lightweight, and maneuverable for quick and effective cleaning in both large and small production areas. Mop covers ranging from ultraclean laundered polyester knit, to absorbent polyurethane foam to economical nonwoven are available to provide the flexibility to handle a variety of cleaning and disinfecting tasks. A sturdy and easy to use mop cart with wringer designed to work with flat mops completes the line.